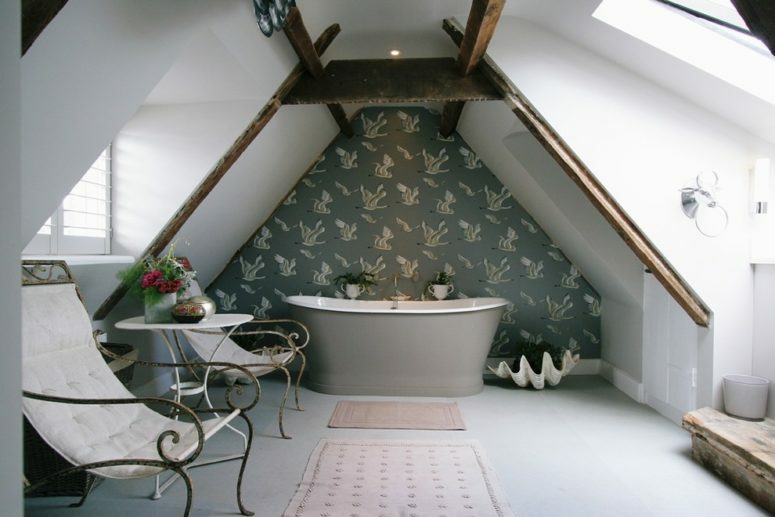 Attic spaces are considered to be difficult to decorate due to the roofs of various shapes. 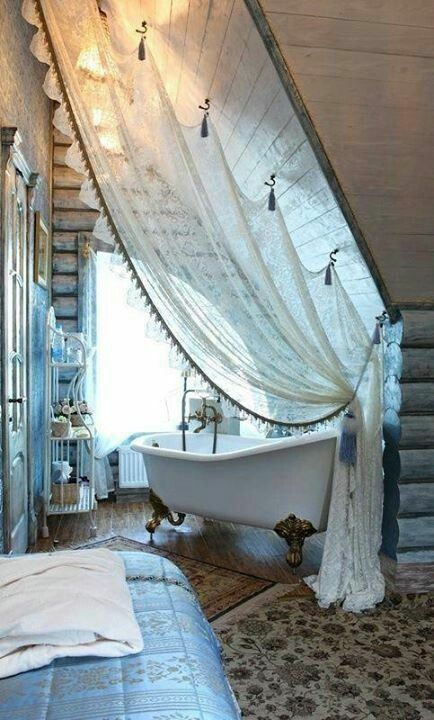 But the challenge is accepted! 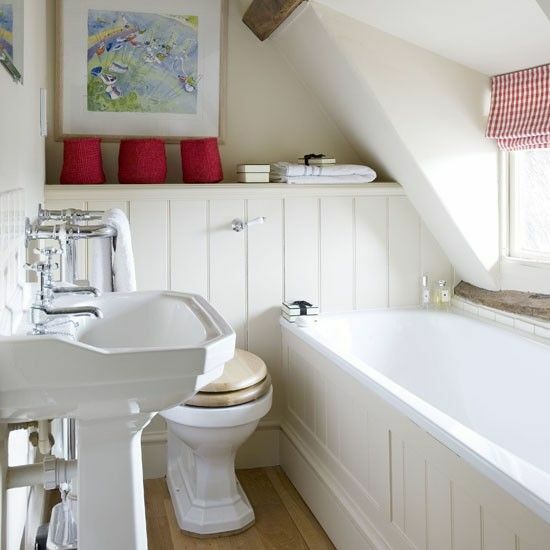 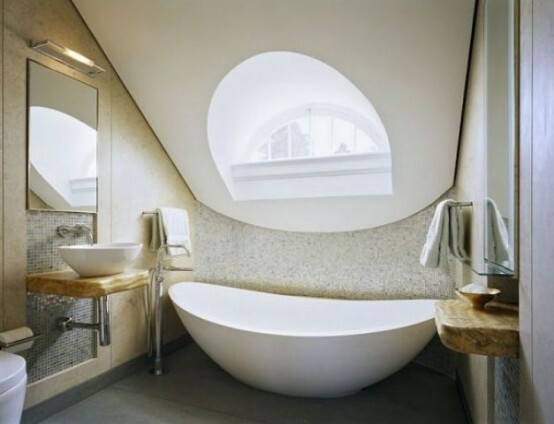 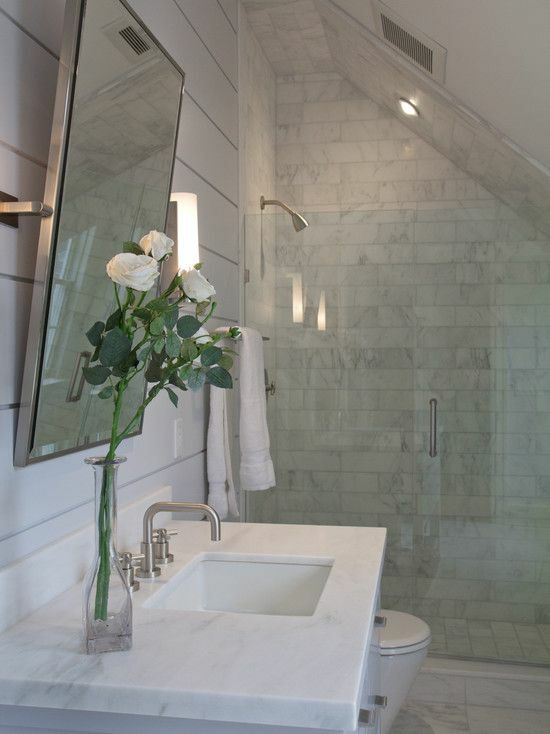 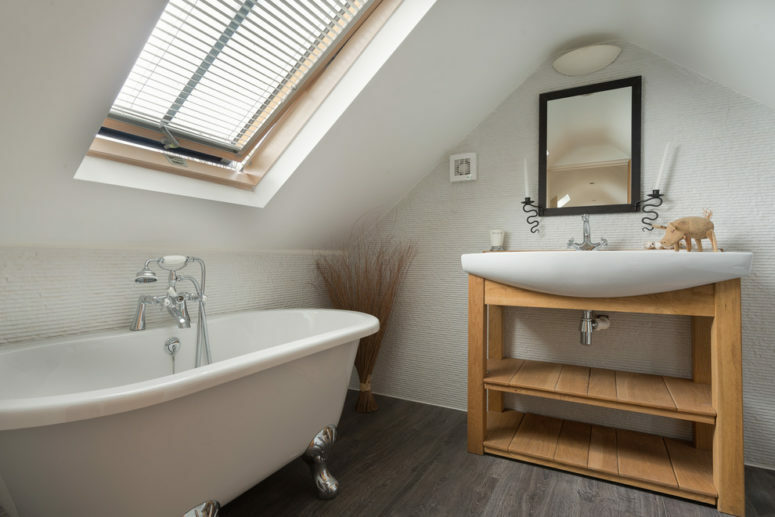 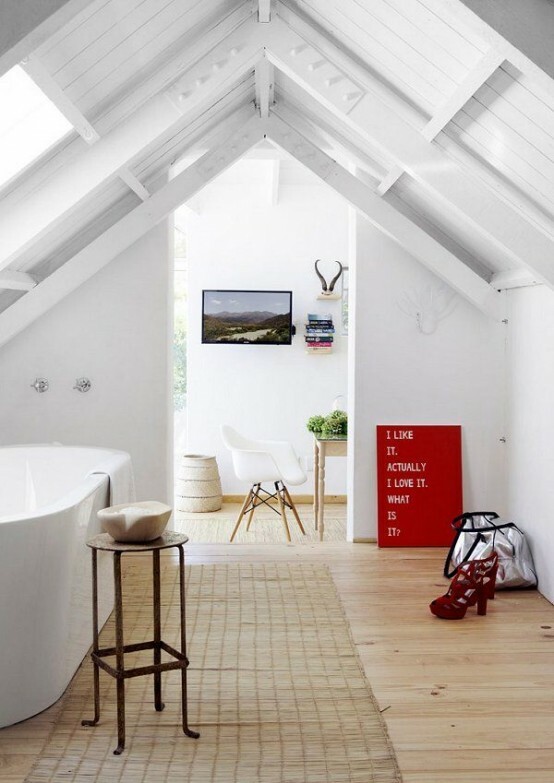 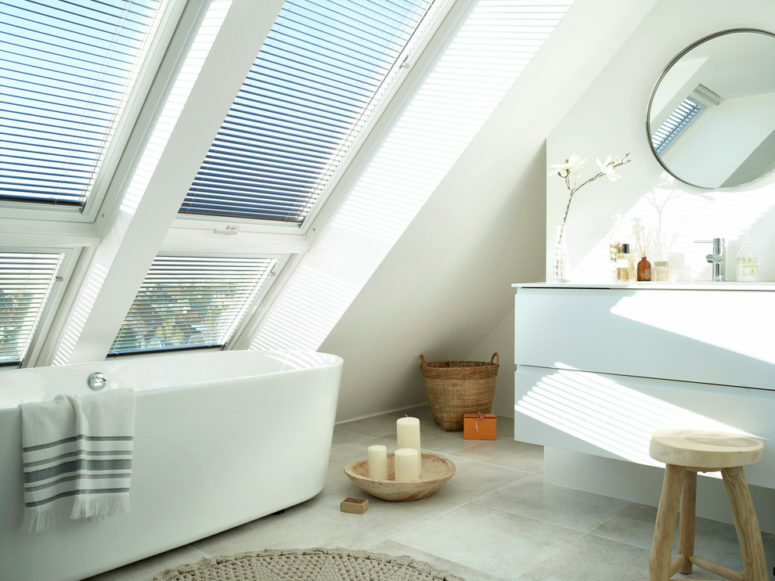 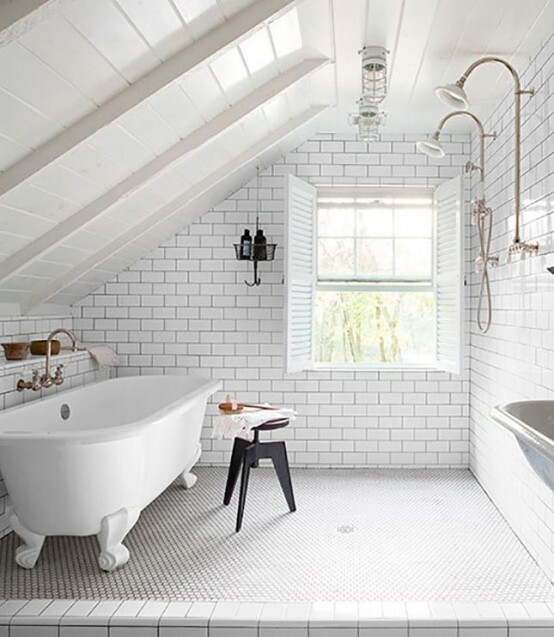 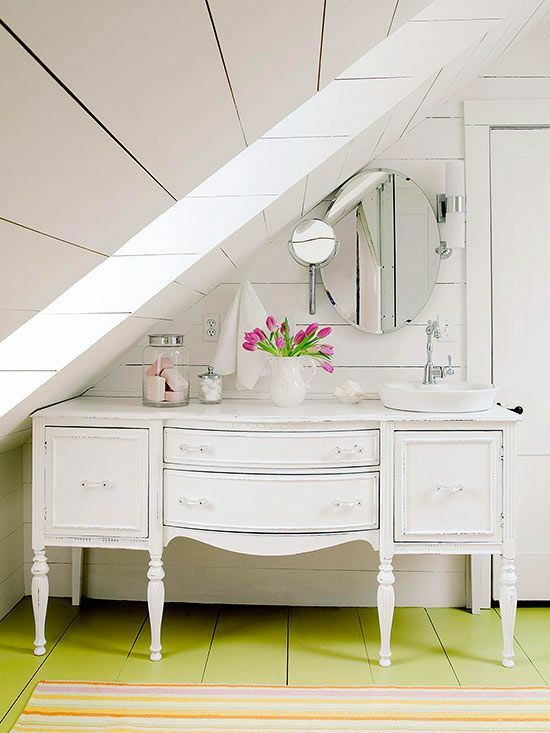 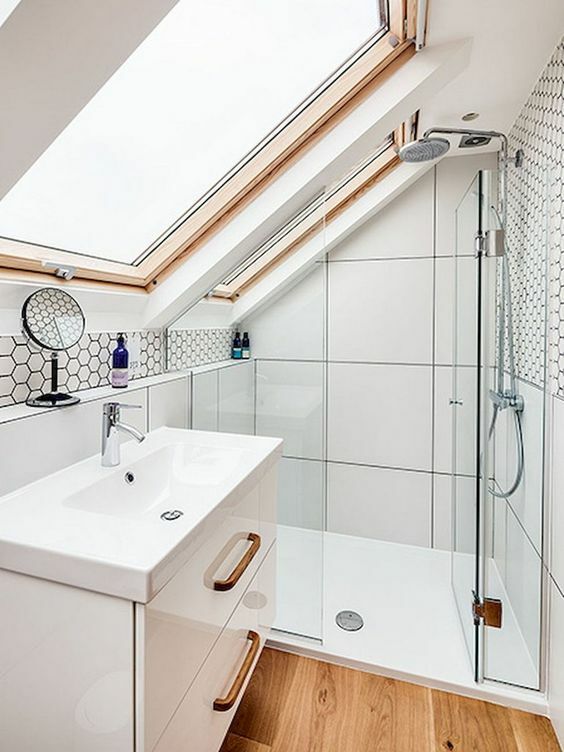 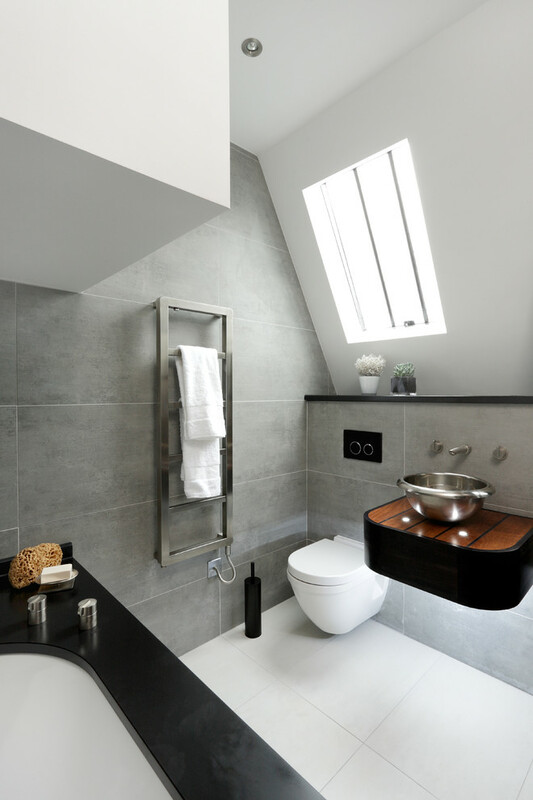 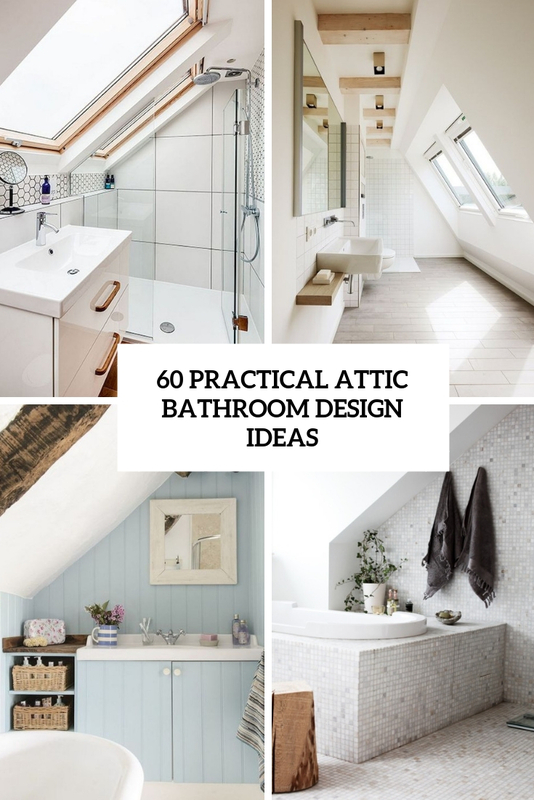 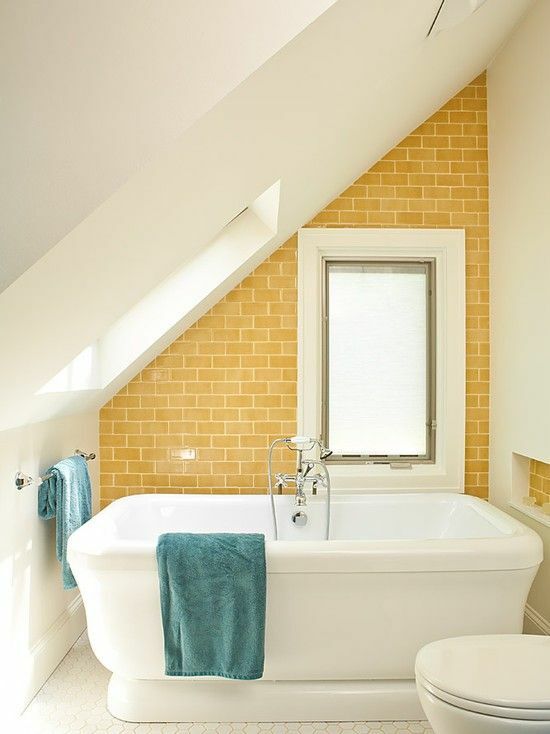 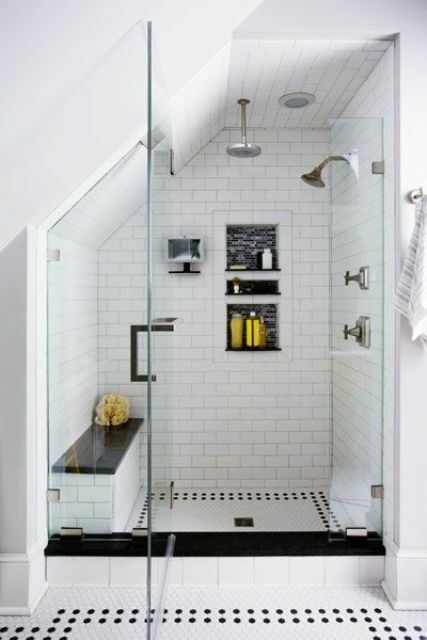 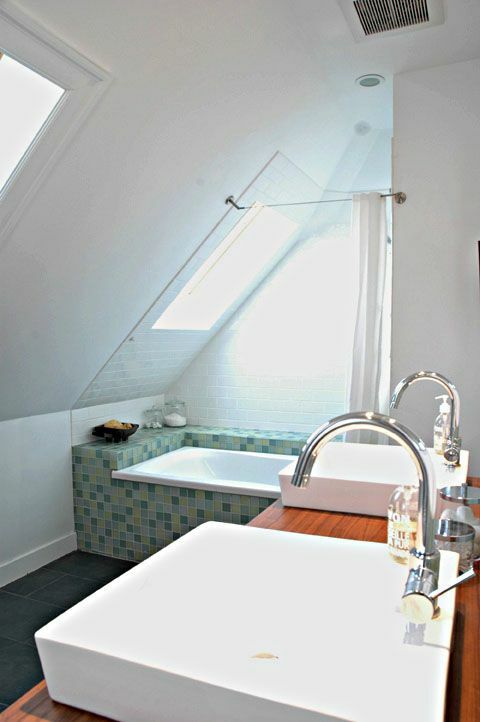 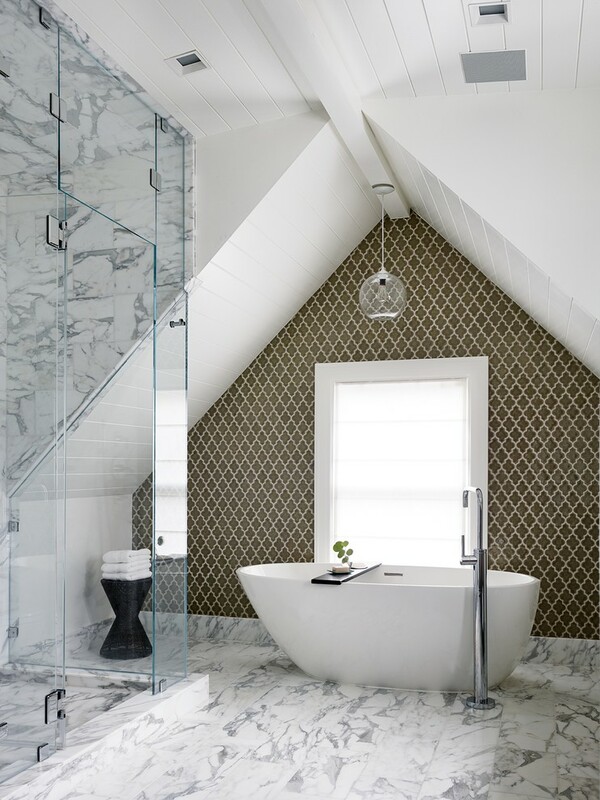 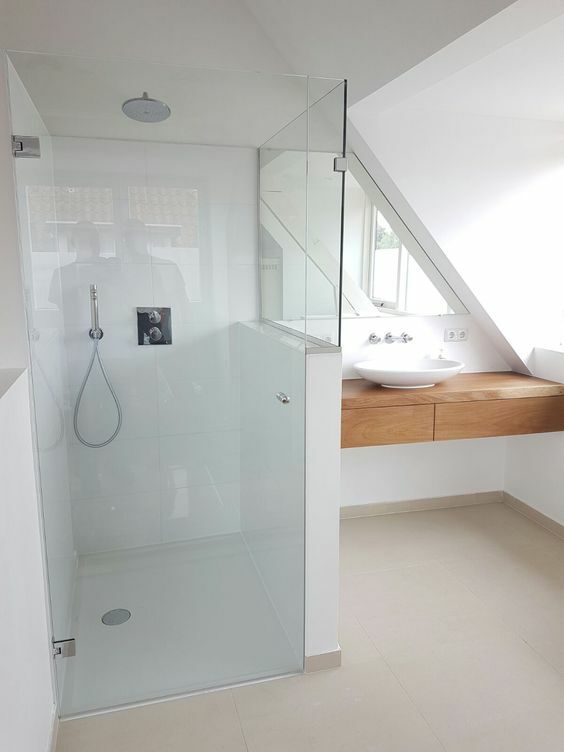 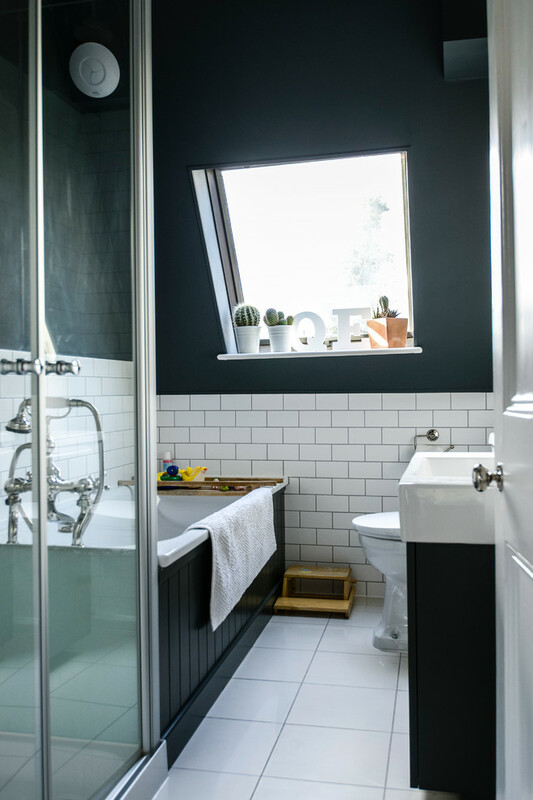 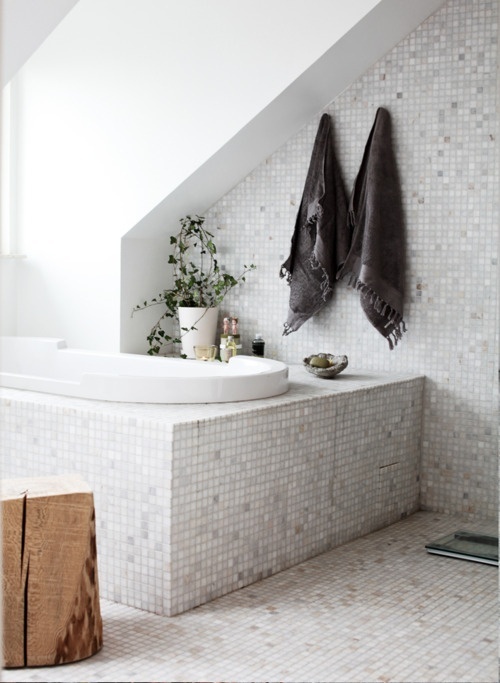 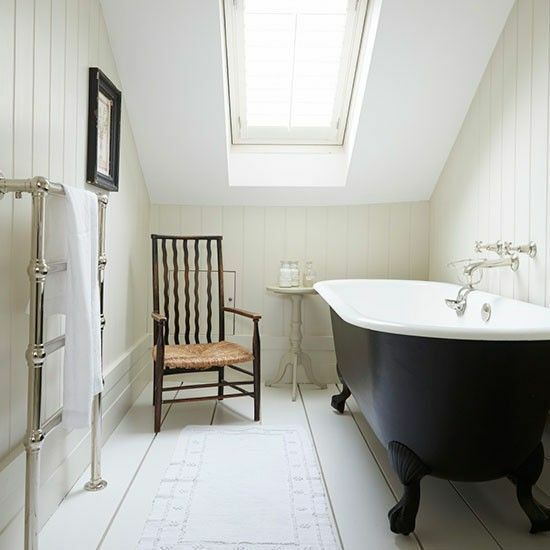 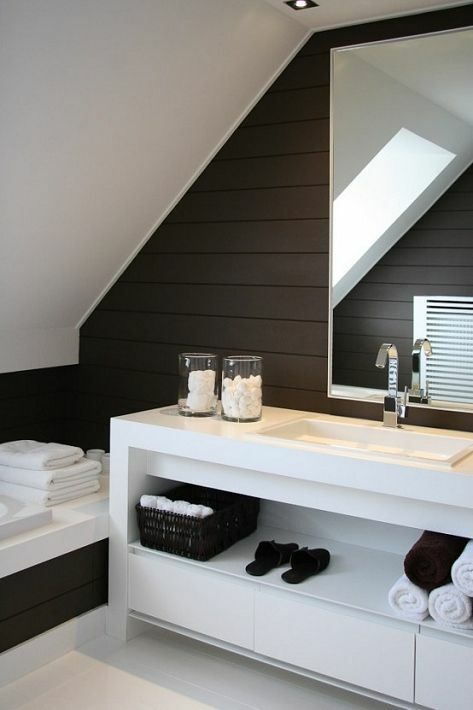 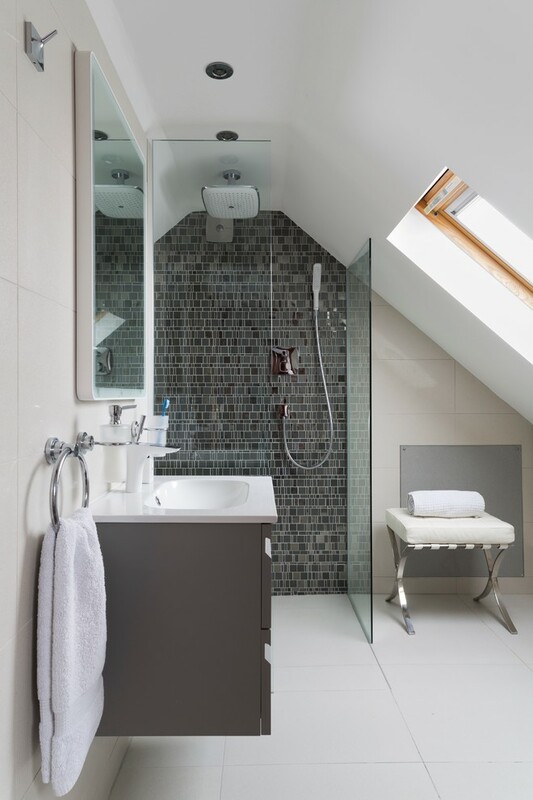 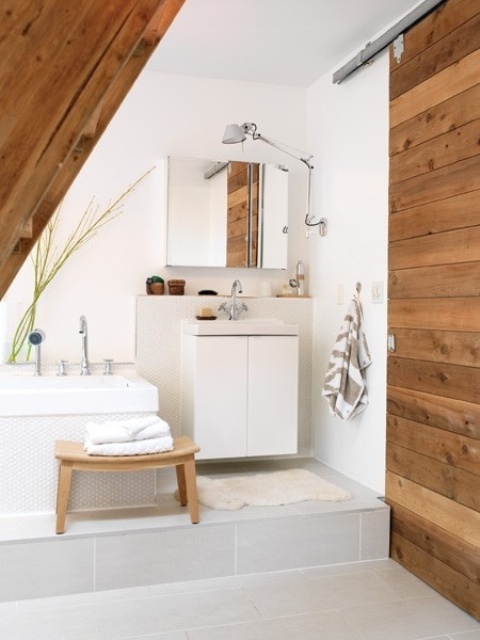 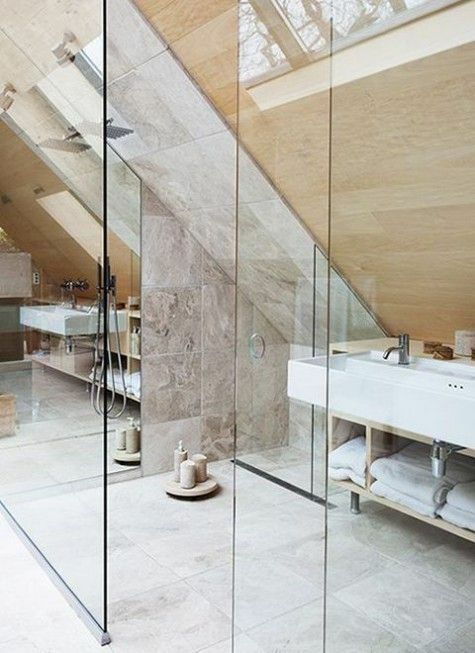 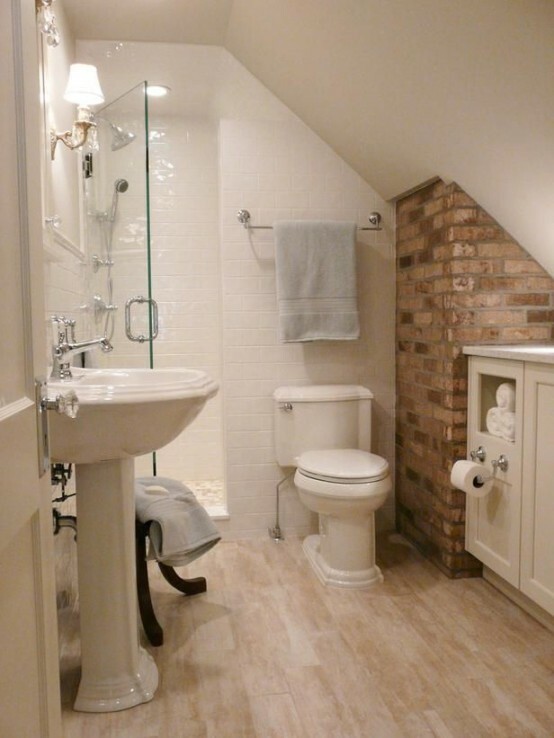 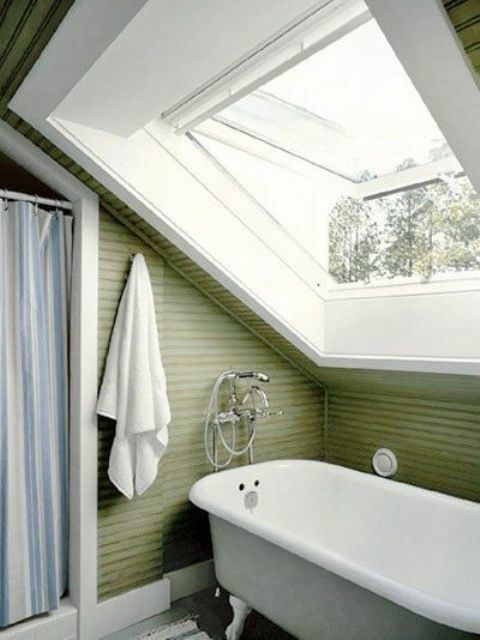 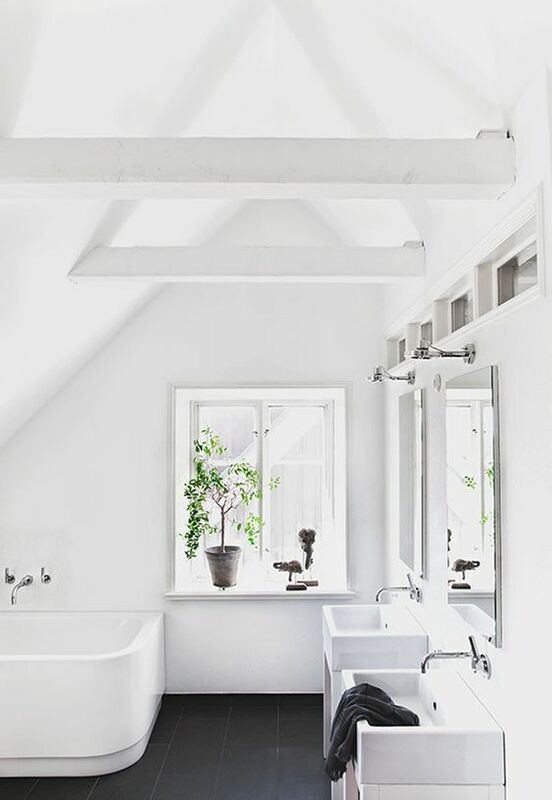 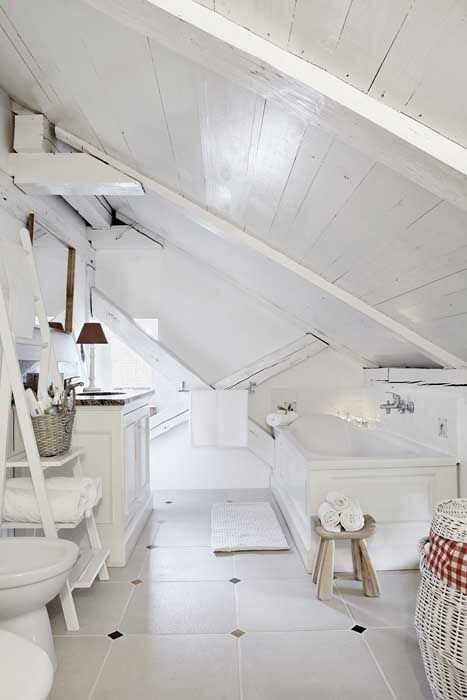 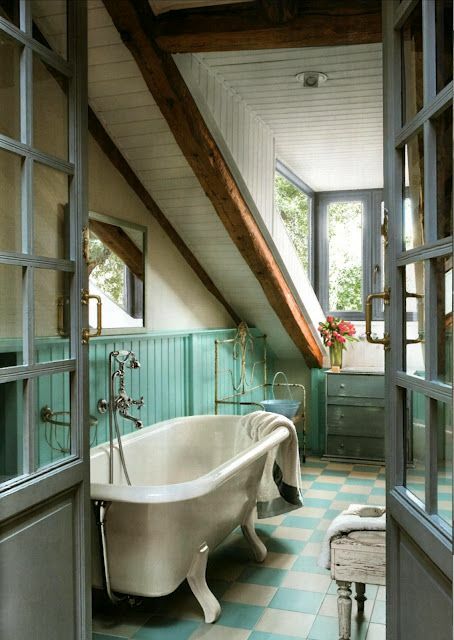 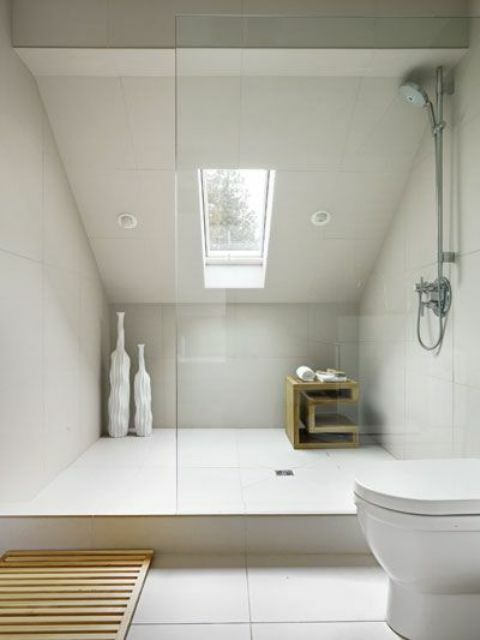 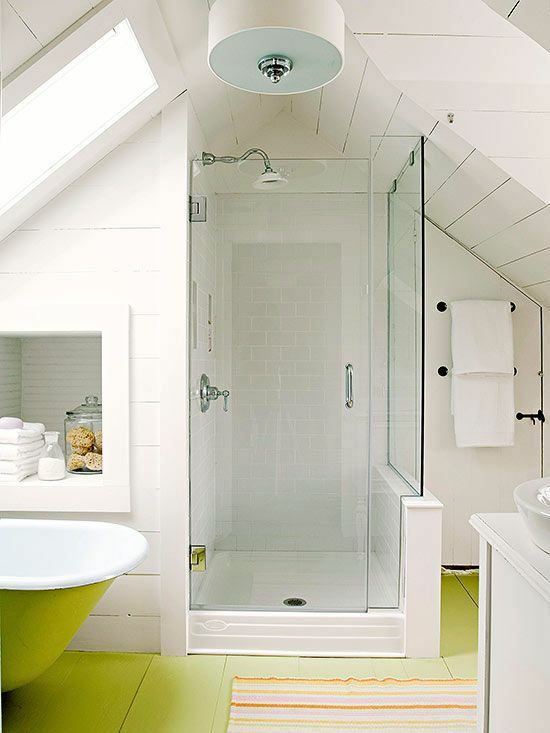 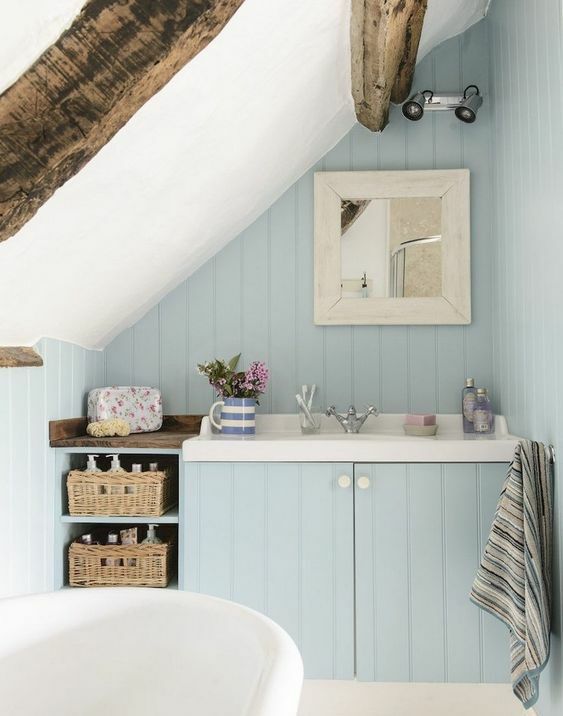 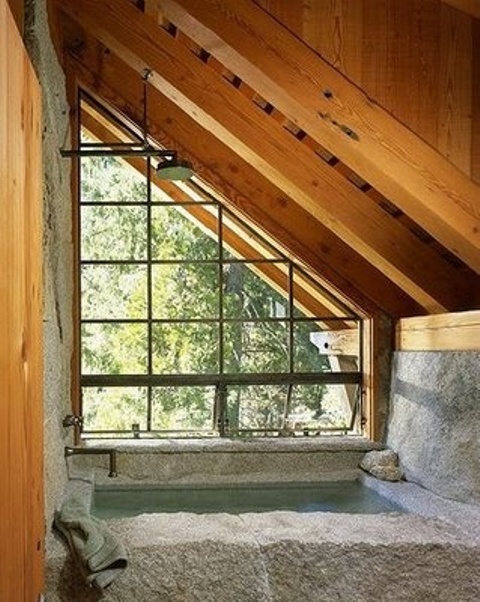 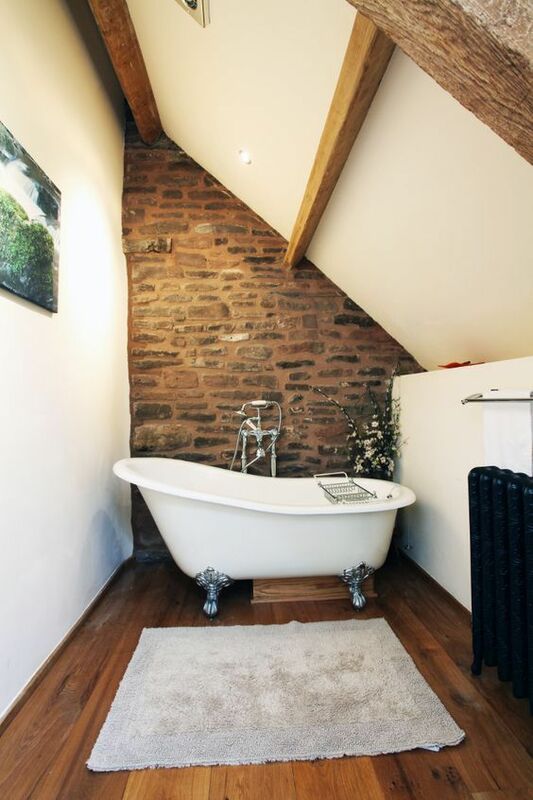 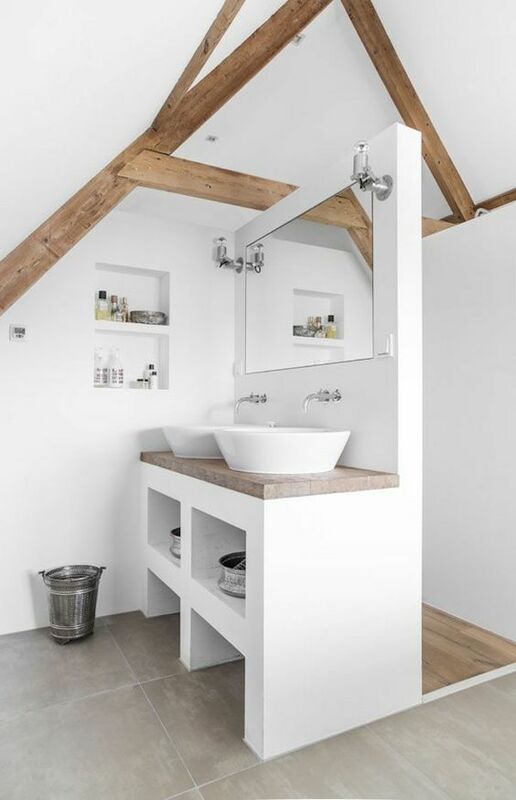 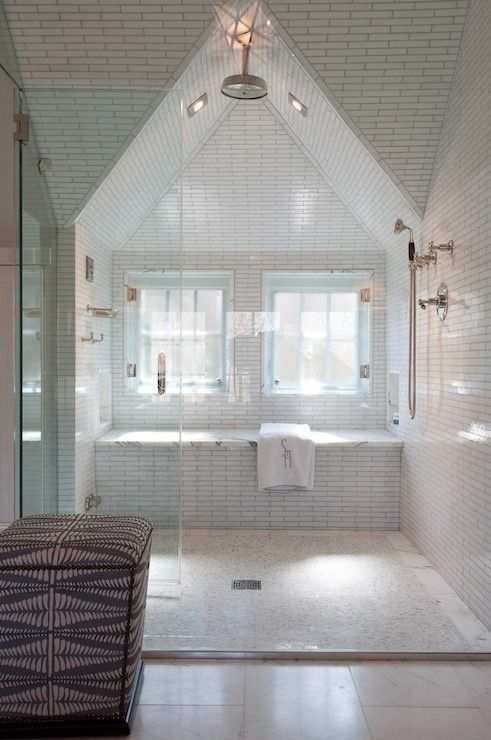 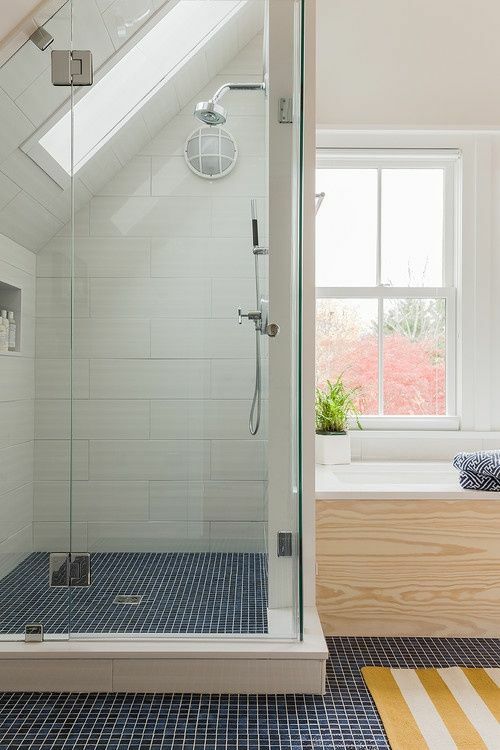 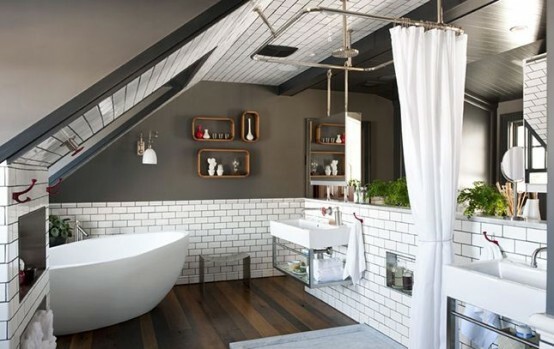 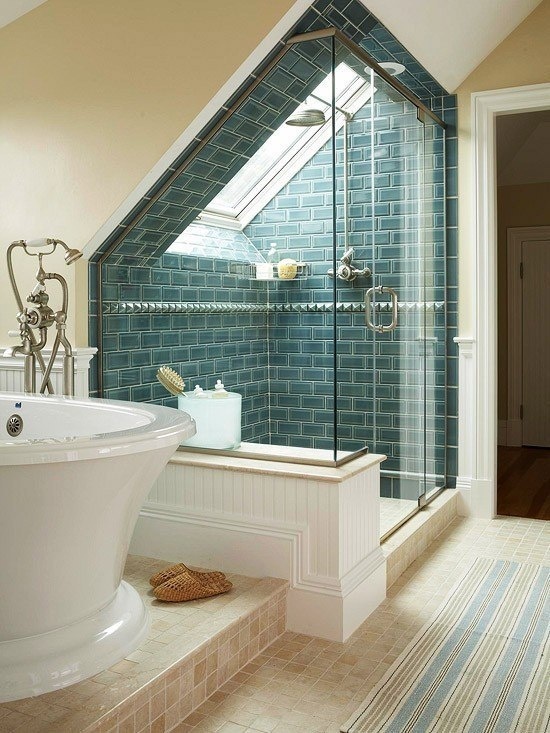 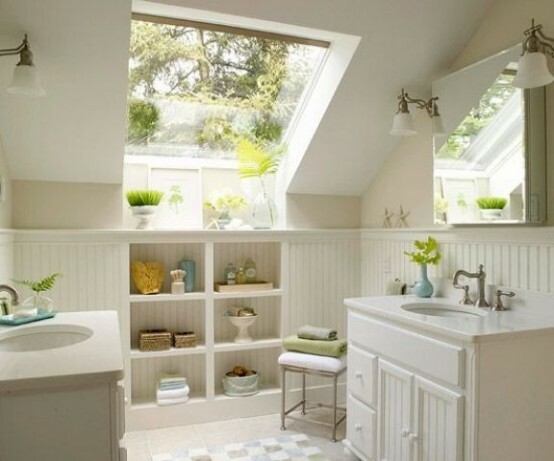 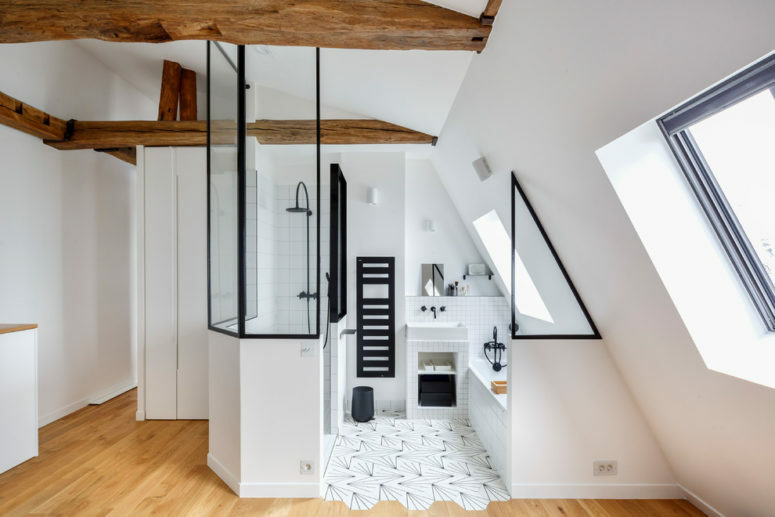 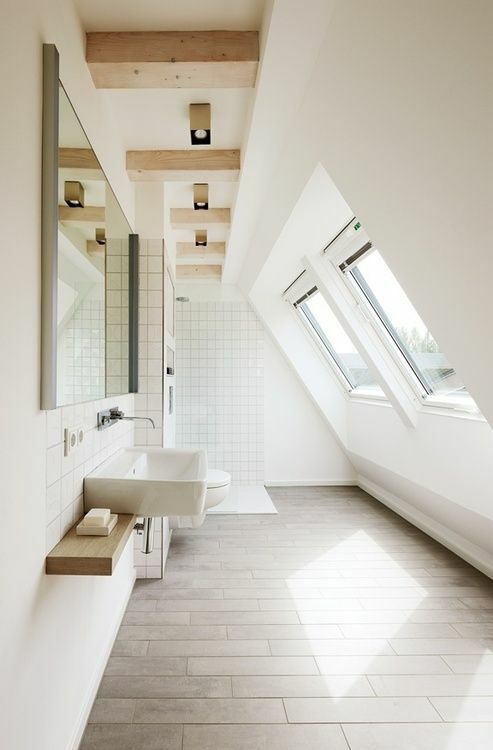 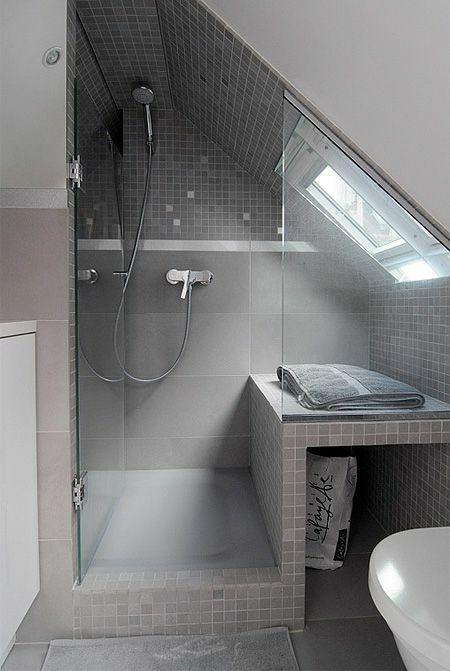 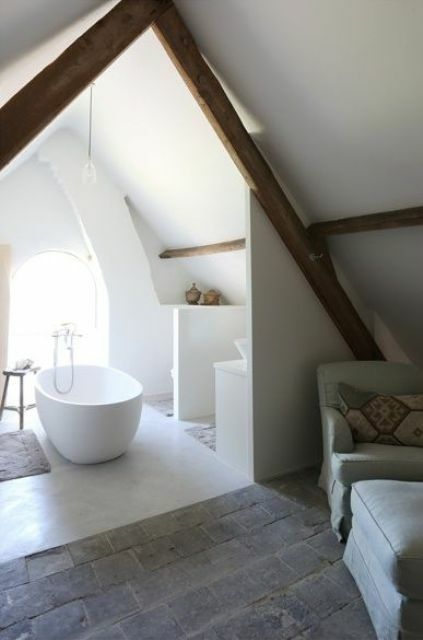 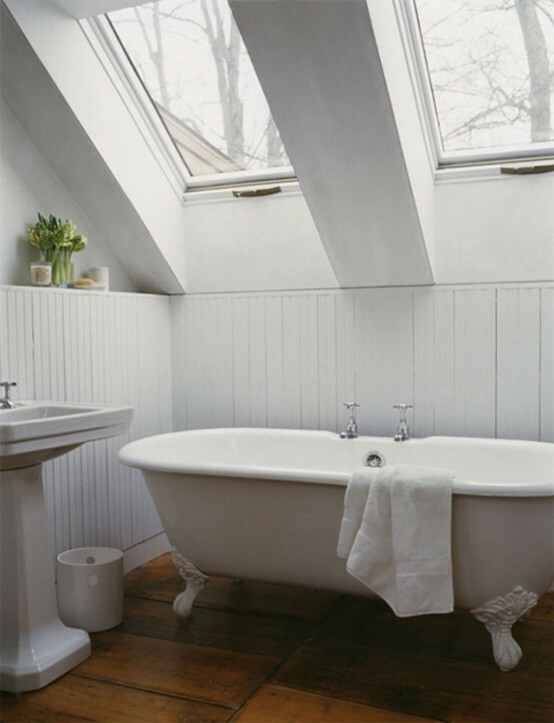 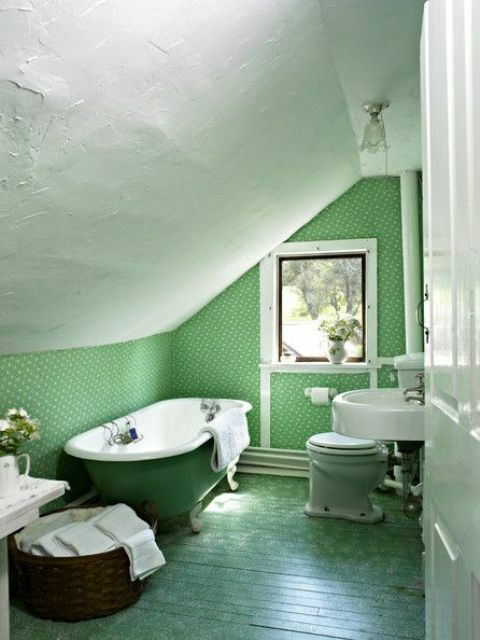 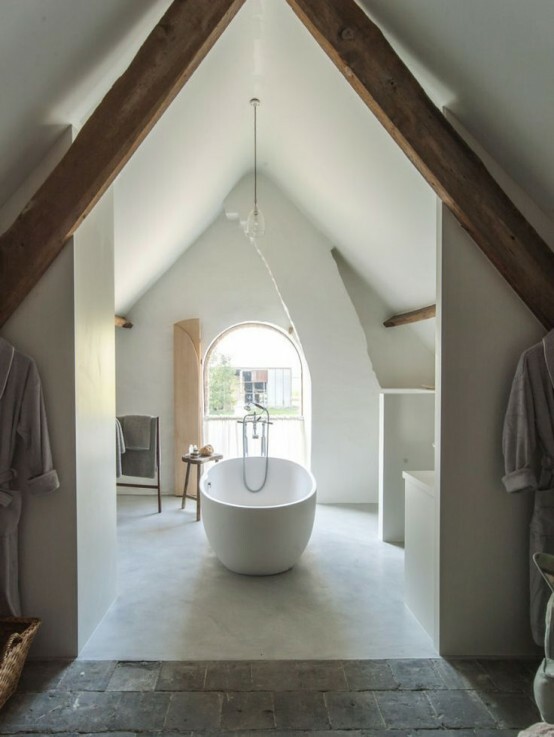 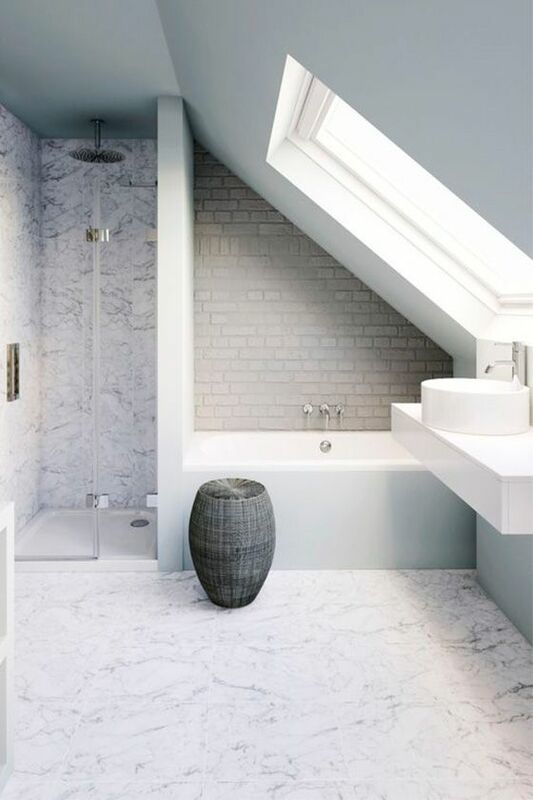 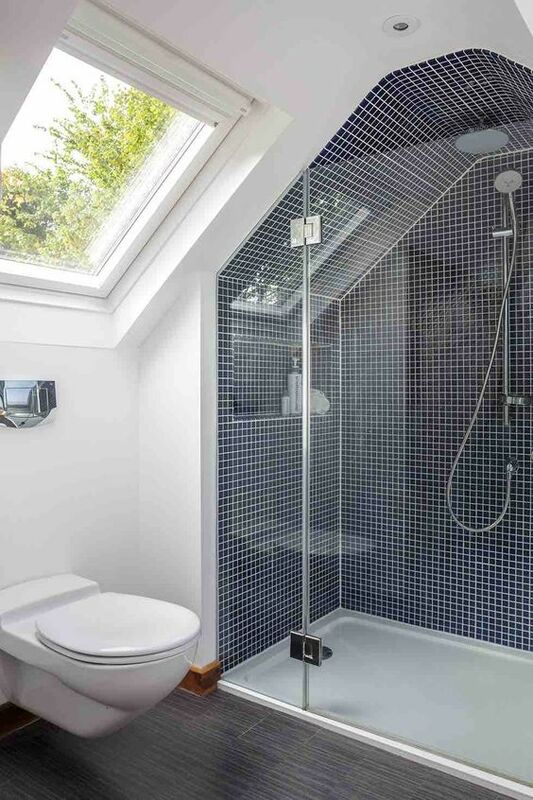 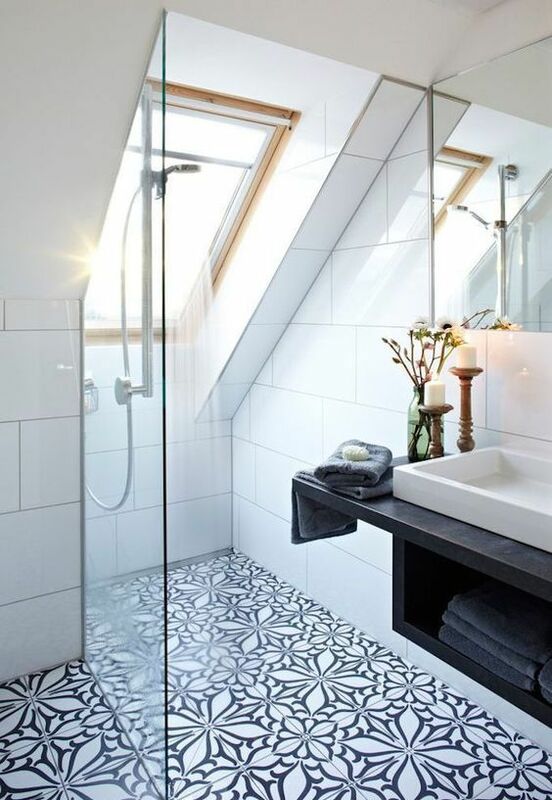 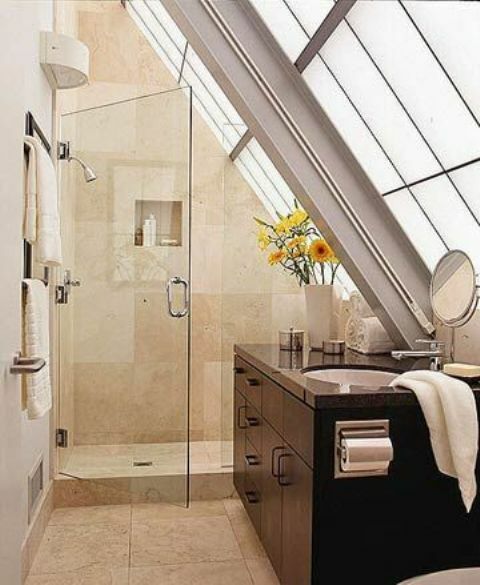 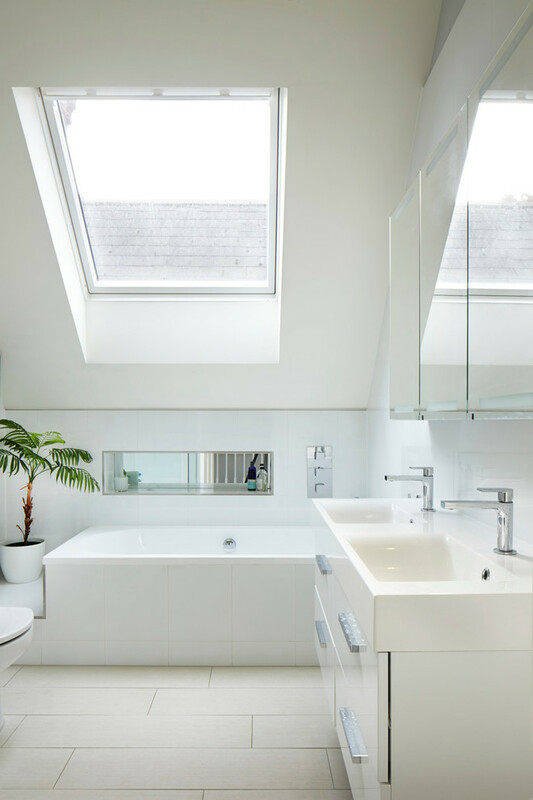 Let’s look at some examples of attic bathroom décor that use every inch space at maximum and look very stylish and elegant. 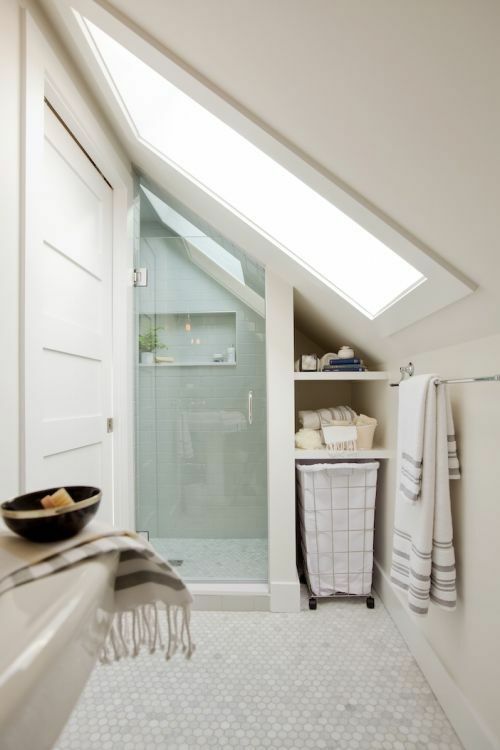 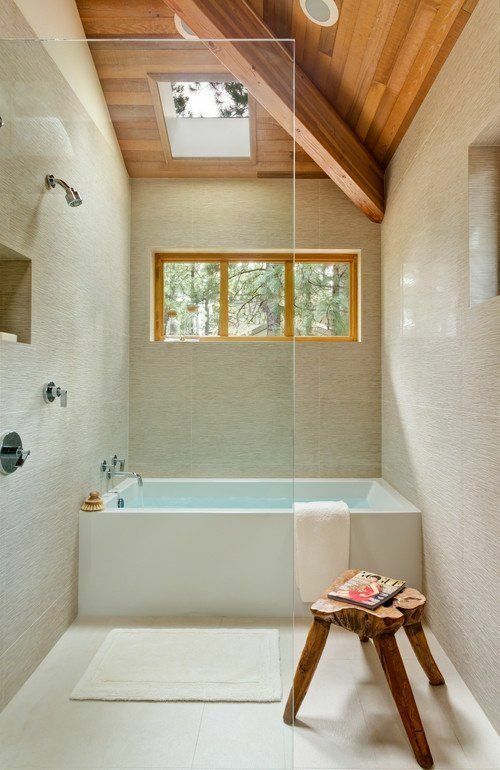 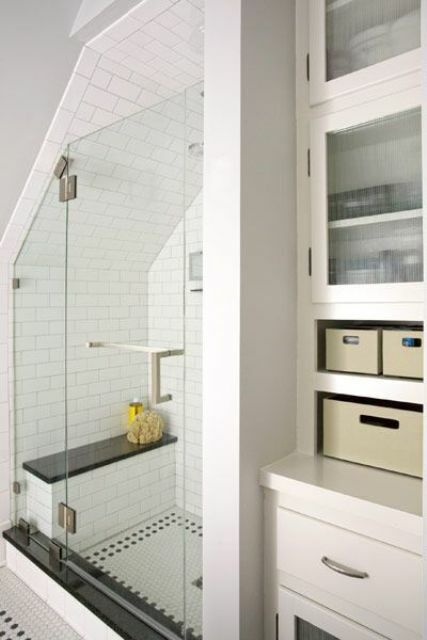 The main secret is to put your bathtub, shower cabin or storage under the lowest part of the roof as you don’t need height to relax in the bathtub or store the towels and other bathroom stuff. 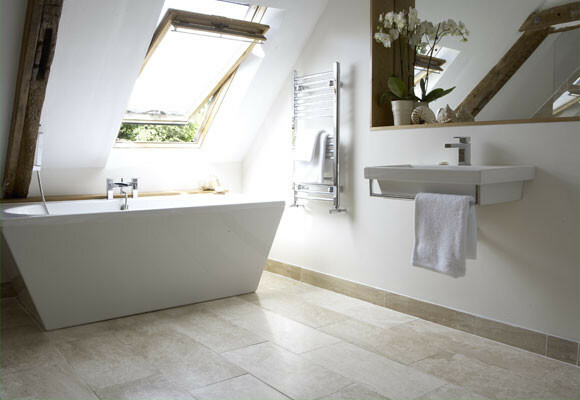 All the other pieces can be put in the rest of space as you like it and as it looks practical for you. 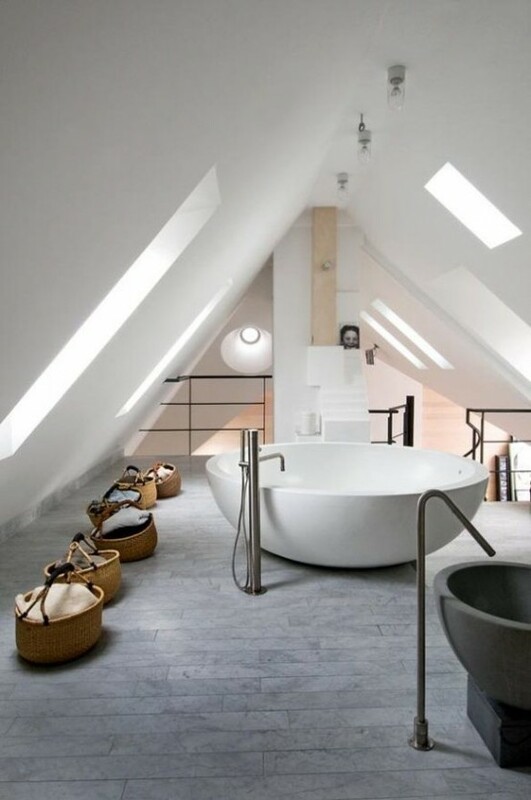 Below you’ll find some ideas to do that in the best way, enjoy and get inspired!